Alumnus, businessman and entrepreneur Tevin Tobun is hoping that his new scholarship fund will ease the financial burden of university fees for three students who would otherwise find university unaffordable. The fund was launched in August 2015 in association with Inspirational You, a charitable group which was founded in 2010 by fellow Middlesex alumna Sonia Meggie. 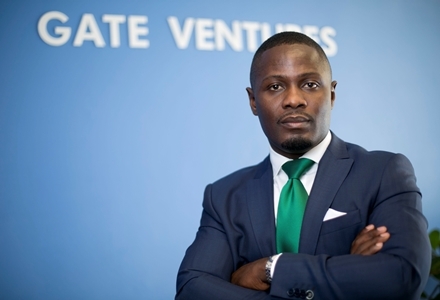 As CEO of Gate Ventures Group (GV Group), Tevin Tobun has celebrated a multitude of successes since graduating from Middlesex University in 2000. Having set up GV Group in 2001, the company now employs more than 300 full and part-time staff in the UK, and in 2009 they opened an office in the United States. Outside of his business, Tevin also plays an active role in ensuring that underprivileged or disadvantaged students are given as much opportunity as possible to reach their goals, and it is this passion that has driven his latest initiative. Tevin said: "I set up this scholarship fund because the education that I received is part of what enabled me to become what I am today." As a strong advocate for giving back, Tevin feels that each generation has a responsibility to help the next generation to succeed. He added: "I feel that every individual must play their part in helping the next generation, this scholarship is just one of the ways I am able to do this." Applications for Tevin's scholarships are still open for all students that will be applying for university in 2016. Applicants must be a British citizen, aged 18 – 24 who are attending a state, secondary school or sixth form college and who intend to go to university in the UK.